If you were one of the fans who helped make last-gen weirdo thriller Deadly Premonition a cult hit, then you're going to have a very good weekend. That's because D4: Dark Dreams Don't Die—the next game from Deadly Premonition creator Swery—comes on Friday. In a surprise announcement coinciding with this year's TGS, Microsoft revealed that D4 will be coming to the Xbox One exclusively at the end of this week as a $15 downloadable release. You can play D4 with or without Kinect and the adventure game puts players in the role of a time-traveling detective who's trying to prevent the violent death of his wife. Xbox Wire: The episodic approach to content has been becoming more common for games in recent years. Were you inspired by other successful titles, such as Telltale Games' The Walking Dead? Swery65: I do, of course, play the games from Telltale Games. But at the beginning, I was purely enjoying them from the point-of-view of a player. However, after the various things happened that resulted in our decision to go episodic with D4, I went back to revisit the games from the beginning, this time from a game designer's point-of-view. At that point, I discovered a lot of clever hooks and techniques being used that I didn't notice when I had my regular "gamer" hat on. 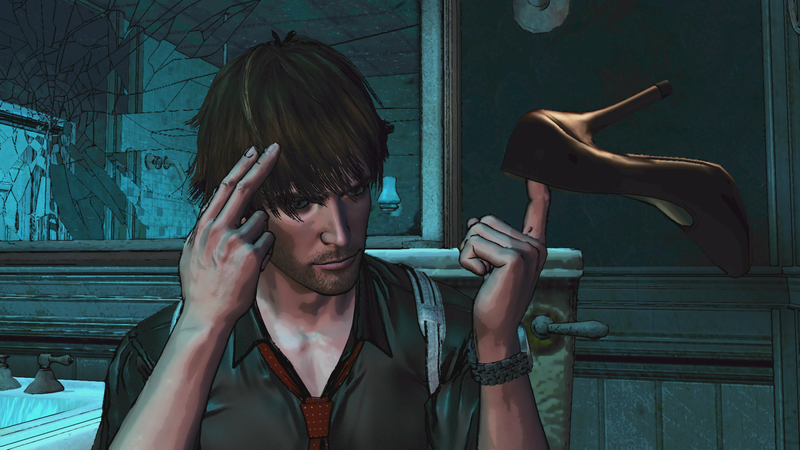 I took in and digested those different points, and have applied them to D4 as a "Swery take" on the ideas.